5-10 pounds over the months of November and December? between Thanksgiving and New Years. over the holidays and STILL stay on track to reach your fitness goals! 1. Don’t skip any workouts! members – so there really is NO excuse. do some circuit training, or even just walk on your own! morning 8 a.m. class – so come get a workout in before (and after!) indulging this week. 2. Drink lots of water before, during and after your Thanksgiving meal. your meal, drink water. After your meal, drink more water. See a theme here? a few minutes – that should help you feel fuller! 3. Scope out your favorite dishes first. about what you will really ENJOY eating, and don’t just eat for the sake of eating. Save yourself for the “good” stuff, not the stuff that you can have any other day of the week. 4. Fill up on proteins and greens. By no means am I saying that holidays are about restriction, and they shouldn’t be! on protein (turkey, ham, etc.) and whatever greens are available. 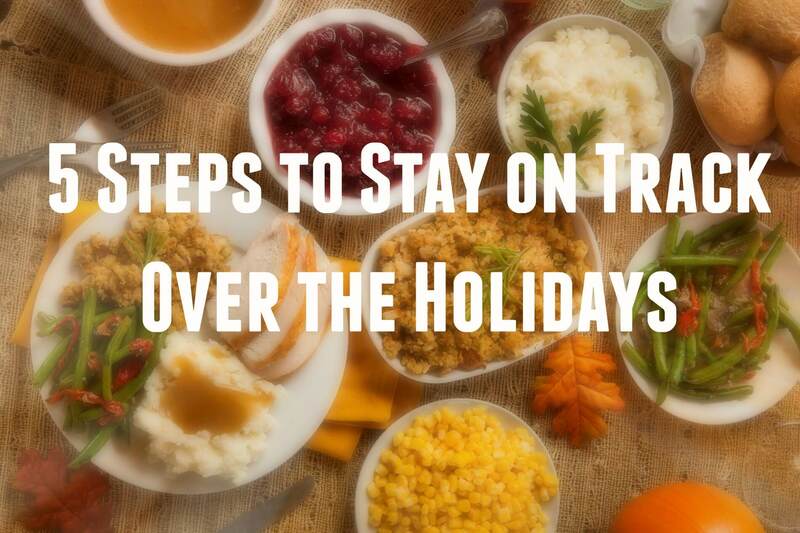 Then, enjoy a bit of what you REALLY want, as mentioned in Tip #3.
your Thanksgiving feast, bring your own dish! 5. Go for a walk! family and friends together and see if anyone wants to go for a walk around the block. around and watching TV all afternoon. take one day to gain 5-10 pounds. much food as you can and regretting it later. See you at Open Gym Thursday and Friday 8-10 a.m.